Impressive for a debut, this one seems to be well covered and enjoyed by all, always an added bonus to hear the author reading and have a connection. Off to check out your evening with the author post now before its time to get ready for an evening out and watching the fireworks. Yes, Claire, it’s a very good debut, and it’ll be interesting to see what she writes next. So many people seem to have enjoyed it, and it was great to hear Emma speak about her approach to writing this novel. A book with a wide appeal, I think. Enjoy the Bastille Day celebrations and fireworks! Fabulous review, as always, Jacqui. I didn’t see the ending coming although a few others said they did – I’m starting to feel a but thick! Cheers, Naomi, and I love the lines you quoted in your review! Great review. I must say I think this does sound very appealing. Thank you. So many readers appear to have enjoyed it, and I remained engaged throughout the story (despite the minor reservations I mentioned). I enjoyed review and like sound of the book. Will add it to my ever growing list! It resonates with story heard from colleague about man in one of their care homes who had dementia and went ‘missing’ for a while. I’m trying to turn it into a story of my own but without much success so figure wil be better off reading this instead!!! That’s good to hear, thank you. I very much enjoyed this book, albeit with a couple of small reservations. Another great review Jacui. I have heard such good things about this book from other bloggers too. I find it intriguing how Healey attempted to get into Maud’s head as she deals with her ailment. Based on your commentary it seems like she did a superb job of this. In my opinion, attempting to convey such experiences, is one of the primary reasons for writing as well as reading. Thank you, Brian. Yes, it seems to have been a hit with several bloggers. Yes, I think Healey really has tried to get into the mind of a woman living with dementia. Although I can’t know for sure, based on my knowledge of dementia I think she’s pulled this off very effectively. At the author event with Emma, she spoke of her own grandmother’s experience with dementia. Another four members of her family also lived with the condition, and I’m sure she’s drawn on this understanding in constructing Maud’s character. From what I know of dementia, Maud’s behaviour is highly characteristic of the condition, and so I believe Healey’s captured what going on in Maud’s head, too. Yes, I agree with your last point, and fiction can often convey these experiences more effectively or in a more powerful way than non-fiction, don’t you think? I’ve heard a lot of good things about this novel. 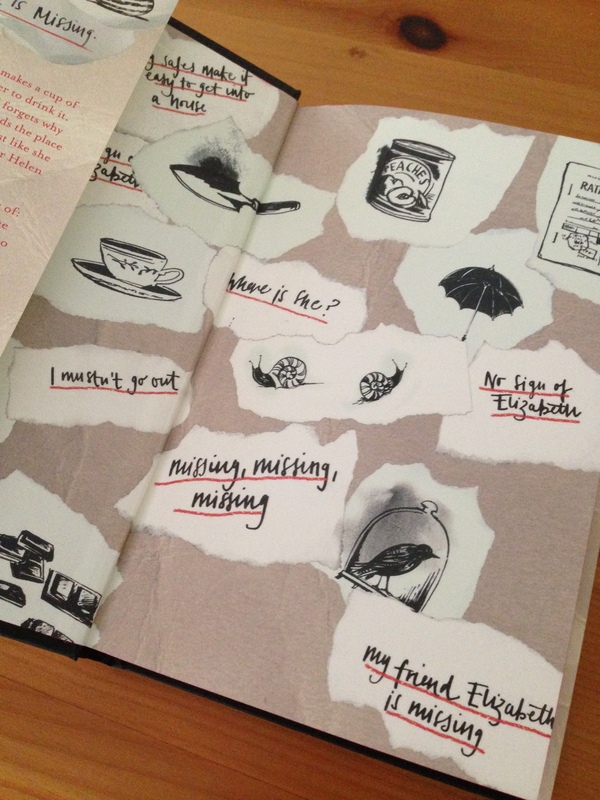 Dementia seems to be something increasingly explored in recent fiction. It sounds like a great choice for a book group. Yes, it’s gone down very well with quite a few bloggers and people I follow on twitter. Dementia is quite a hot topic and certainly an increasing challenge for us to manage. It’s a good one for book groups all right…I can’t wait to hear what the other members of my group made of it! A lovely review, Jacqui. I hope it makes for a good discussion at your book group, and thanks again for writing up the evening you met the author. Thank you for linking to my review, very kind of you. Thank you, Lindsay. I’m sure we’ll have a great discussion at my book group, and I’m looking forward to hearing how everyone else found the book. I thought my notes on Emma’s event might be of interest to others, so thank you for saying that. Glad to include a link to your review, you’re always welcome. As I’ve said elsewhere, I have a horror of dementia from childhood which makes this quite a difficult book for me. I have heard nothing but good things of it though, so should perhaps try it. It’s not a crime novel is it? She’s trying to solve something, but I suspect I’d be less interested if it were actually crime fiction. I wouldn’t describe it as a crime novel, Max. 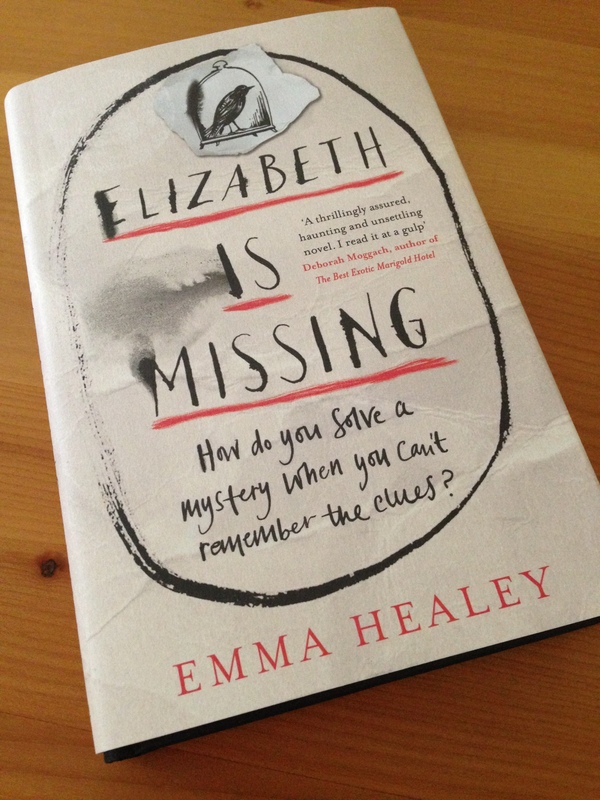 It doesn’t have the pace or tone of crime fiction, but there are a number of flashbacks as Maud thinks back to the time of her sister’s disappearance. So there’s a bit of investigation into what might have happened to the sister, but it’s a case of Maud and her family looking for clues, trying to figure out what might have happened (as opposed to a police procedural). To be honest, while I enjoyed this book a lot it didn’t wow me, and it won’t make my end-of-year highlights. I think it’s a good debut, well written: good, but not great (although I’d say David preferred it more than I did). For me, the real strength of this book is its depiction of a character living with dementia – Maud’s inner thoughts and feelings, her physical behaviour. While the book contains touches of humour, some scenes are upsetting, and it does bring out the distress and frustration of feeling trapped by dementia. Based on your horror of dementia from childhood, I’m somewhat reluctant to recommend this one to you, Max. If I considered the book amazing, I’d say it might be worth the angst of giving it a go…but I didn’t love it. Does that help at all or leave you in even more of a quandary? One final thought, as I think we started discussing this book in the context of exciting new/young writers — have you come across Valeria Luiselli (Faces in the Crowd; Sidewalks)? I’ve just reviewed Sidewalks, a collection of her essays, and I’d say she’s very talented. I read Faces in the Crowd pre-blog and loved that one, too (Tony Malone reviewed it recently).